We have guaranteed charity places for the 2019 Prudential Ride London – Surrey 100, so would really love you to join Team Sandcastle for this event! 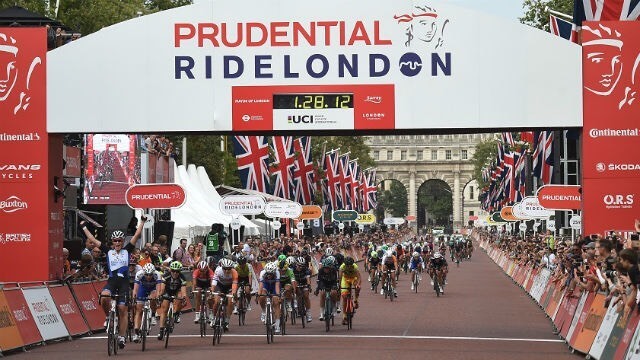 Celebrating the legacy for cycling created by the London 2012 Olympic and Paralympic Games, Prudential RideLondon-Surrey 100 starts at 06:00 in Queen Elizabeth Olympic Park, then follows a 100-mile route on closed roads through the capital and into Surrey’s stunning countryside. With leg-testing climbs and a route made famous by the world’s best cyclists at the London 2012 Olympics, it’s a truly spectacular event for all involved. The Prudential RideLondon-Surrey 100 finishes on The Mall in central London. Please email us at info@sandcastletrust.org to register your interest in this event. Do you have your own place in the Prudential Ride London – Surrey 100? If you have been lucky enough to secure your own place in the Prudential Ride London – Surrey 100 2018 in the public ballot we’d love you to come on board as a Sandcastle Trust cyclist and join our team! We’ll provide you with lots of support and a branded Sandcastle Trust cycling jersey or t-shirt to wear with pride on the day. This requires no minimum sponsorship, just raise as much as you can to help us support families affected by a rare genetic condition.